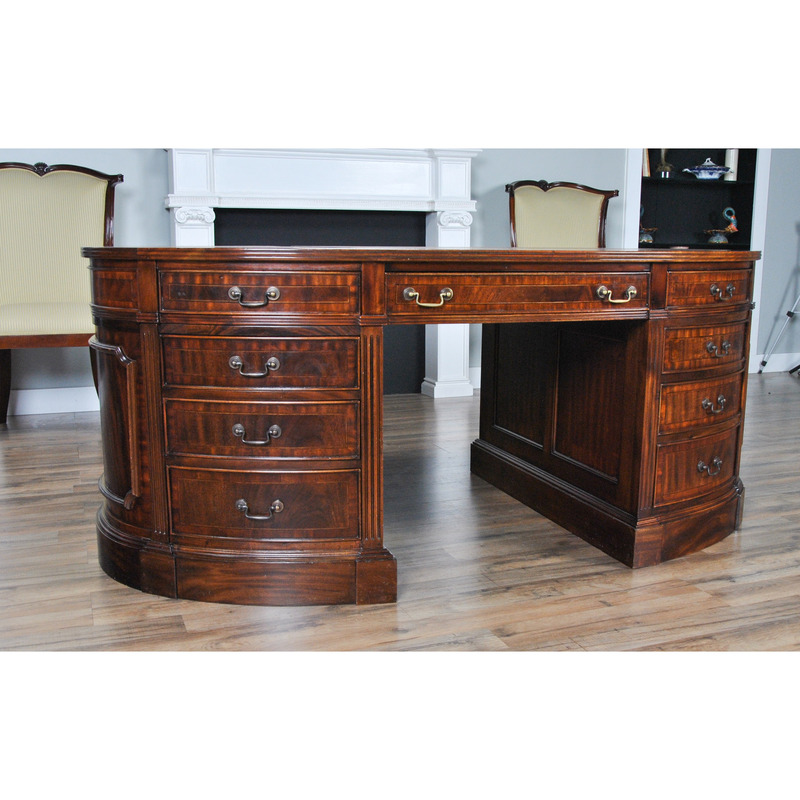 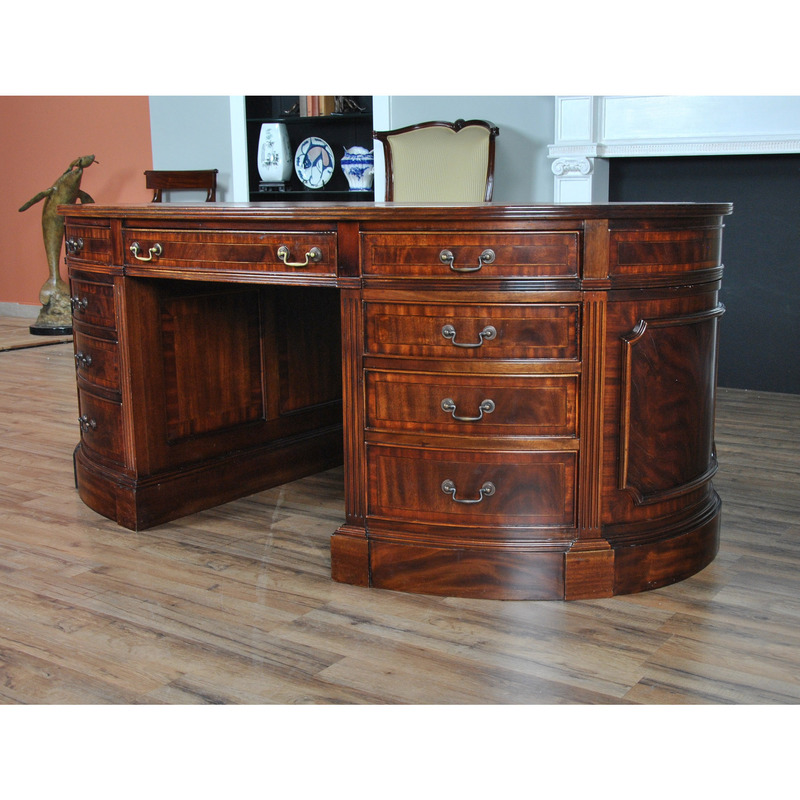 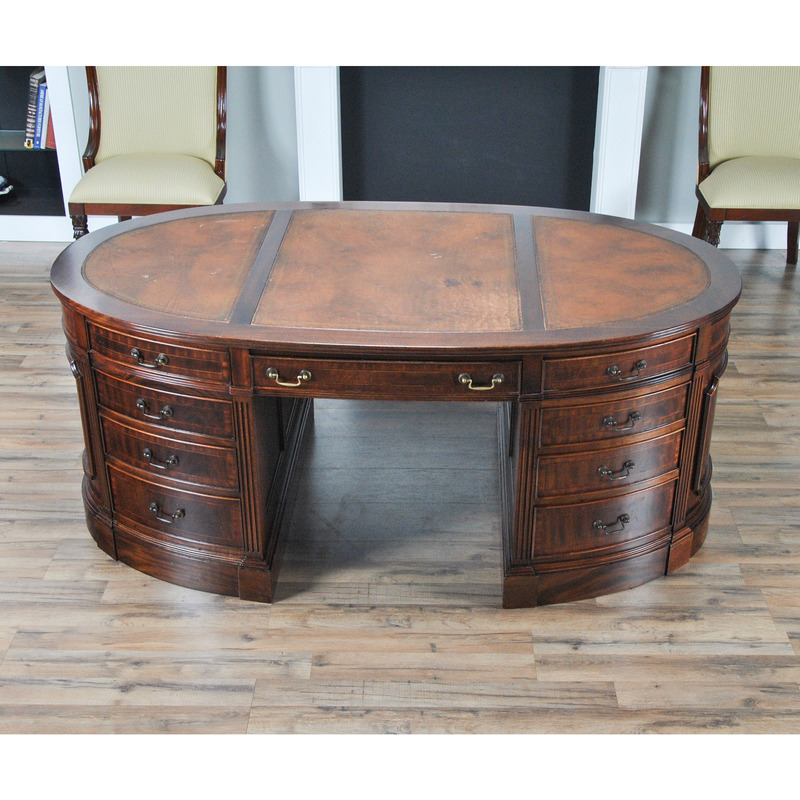 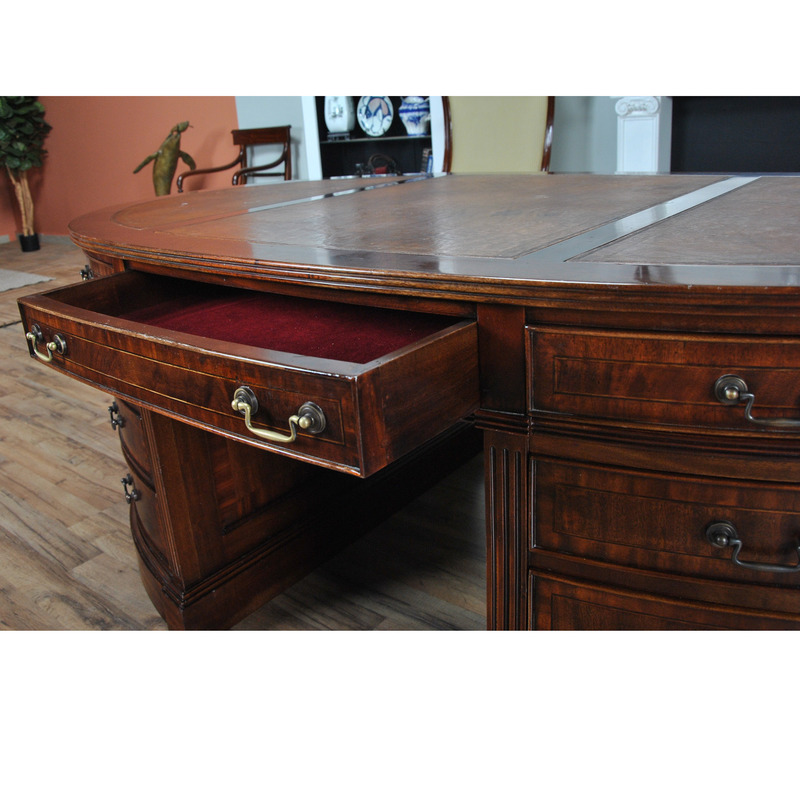 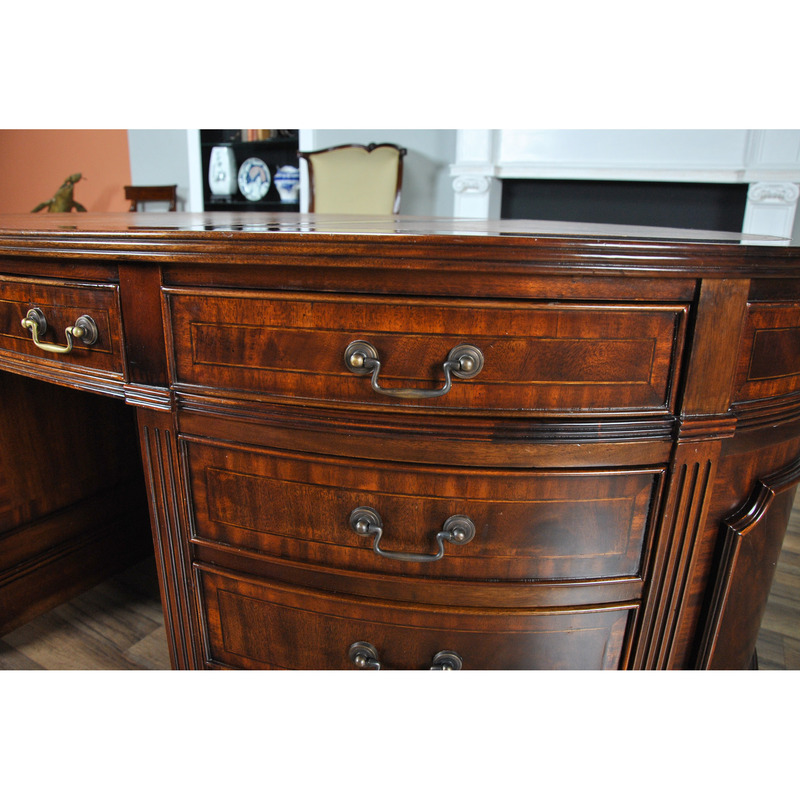 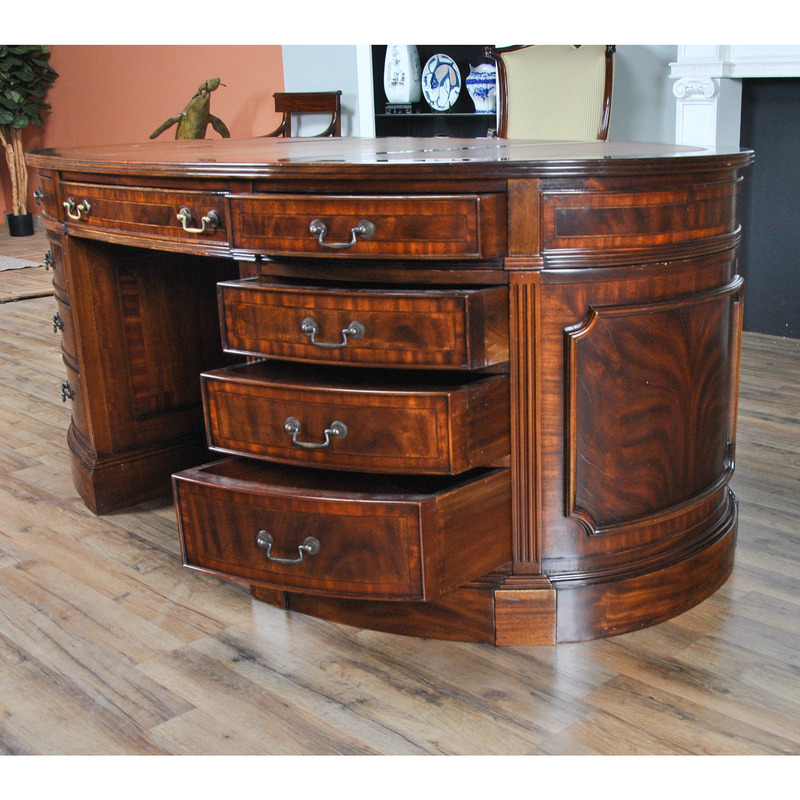 From Niagara Furniture a vintage Mahogany Oval Partners Desk in used, original, as found, condition. 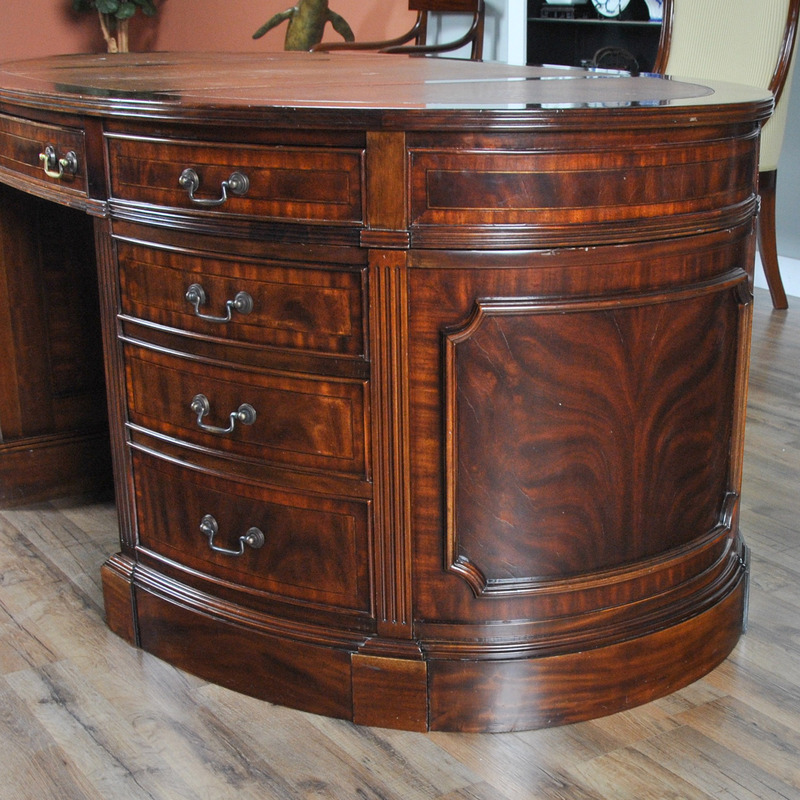 One of the most complicated items for cabinet makers to produce is the Oval Partners Desk. 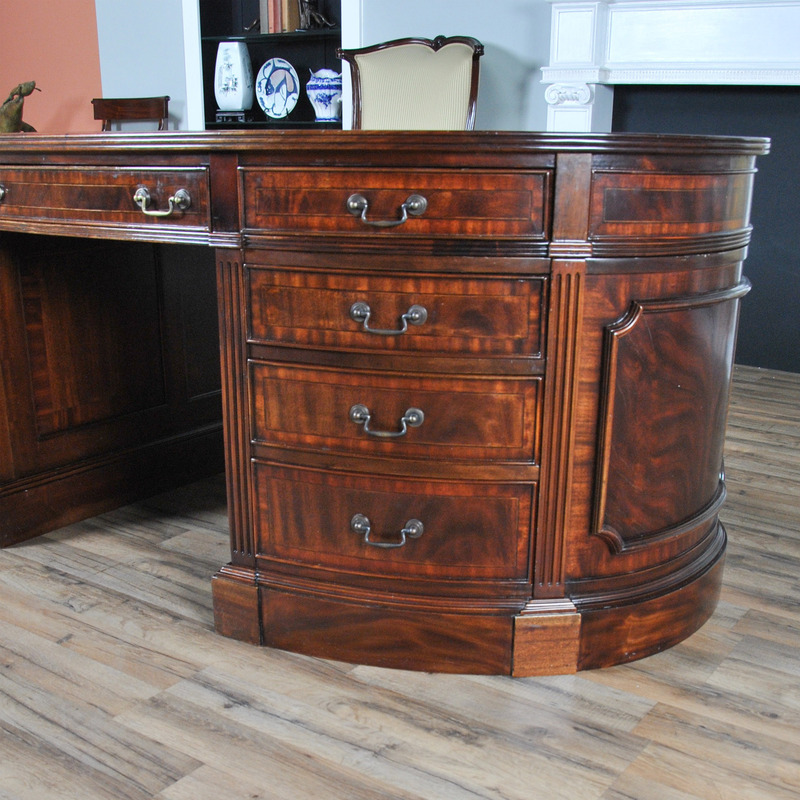 the level of complexity is a result of having to produce all of the curved surfaces of the drawer fronts as well as the oval desk frame itself. 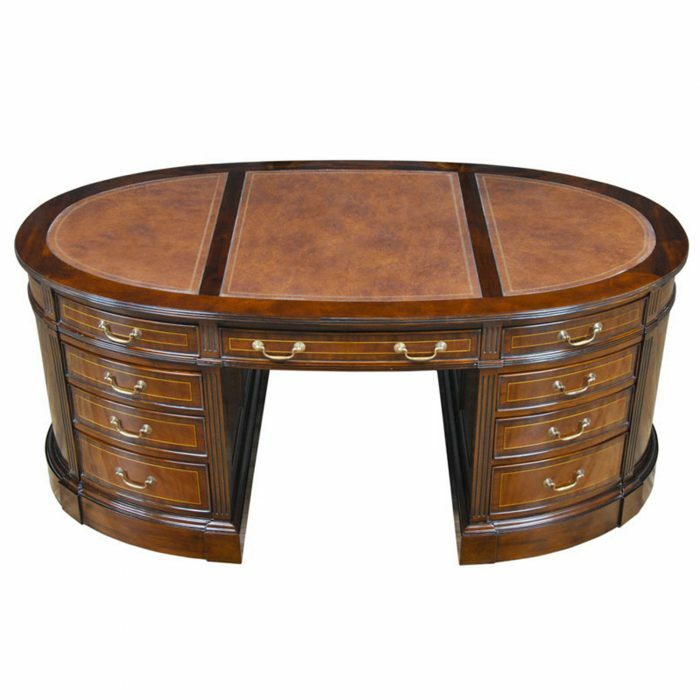 The oval shape is also one of the most sought after and desired desk shapes as the rounded ends make it easier to walk around when moving about the office. 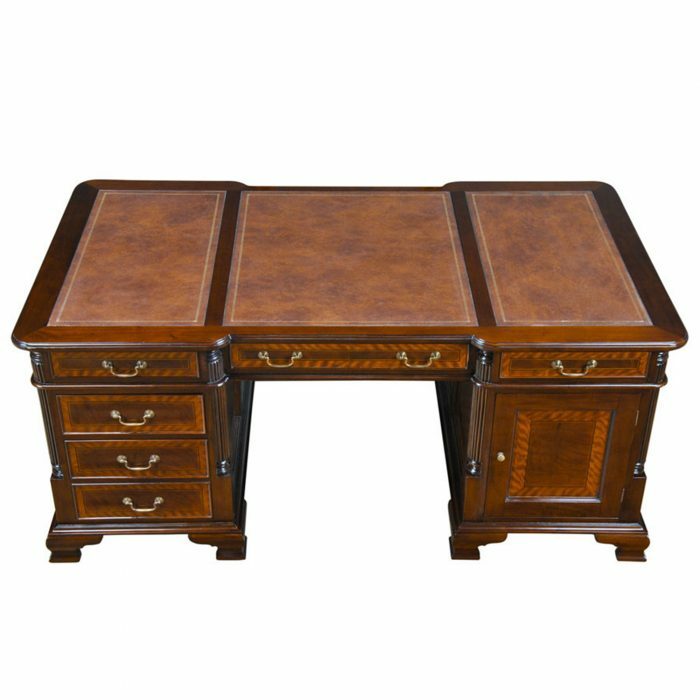 The top section of the desk consists of a three-paneled writing surfaces of brown full grain genuine leather which feature antique style gold tooling, please look at the photos carefully as they detail the noticeable wear and tear to the leather. 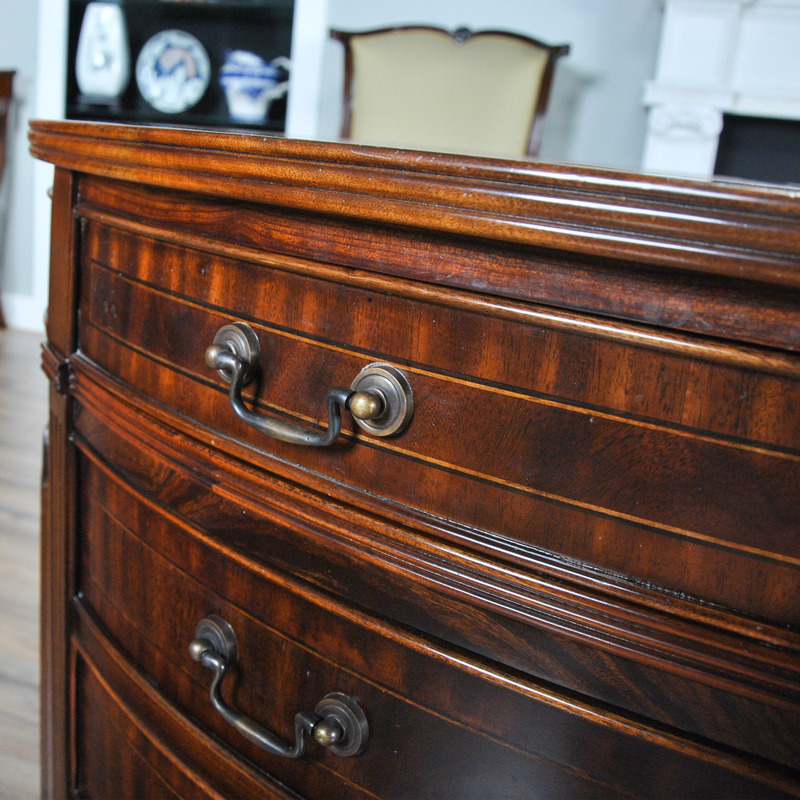 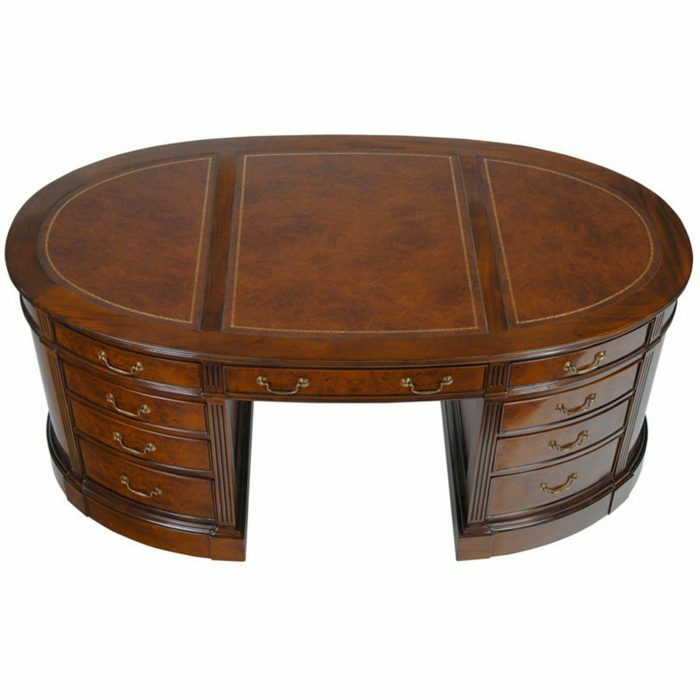 The drawers are built using dovetailed construction for strength and they are beautifully decorated with figural mahogany surrounded by string inlay and banded mahogany. 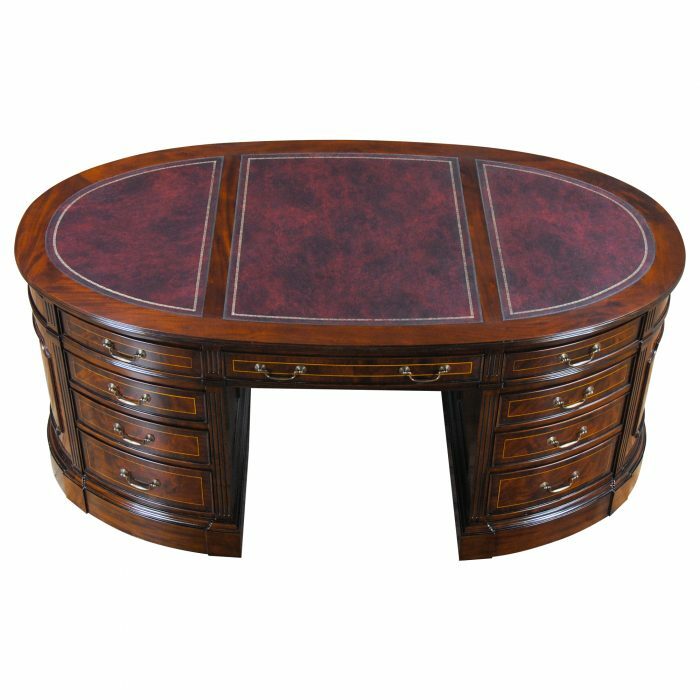 Each pedestal bank of the desk contains six drawers and the side section of the desk also features wonderful figural mahogany veneers. 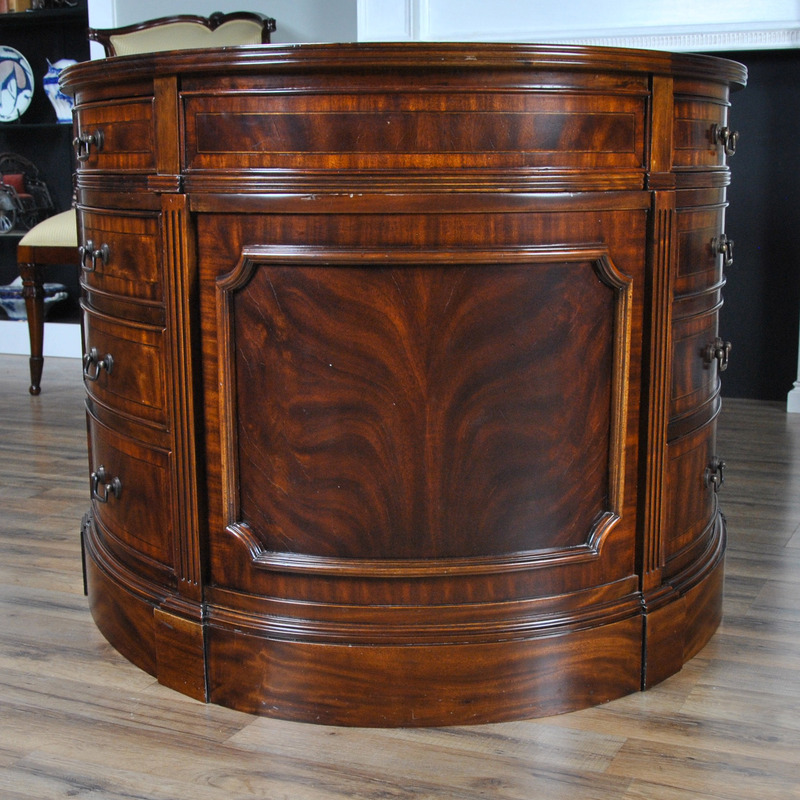 A great quality piece that has been used long and often but still retains its original beautiful design features even though signs of use are evident throughout. 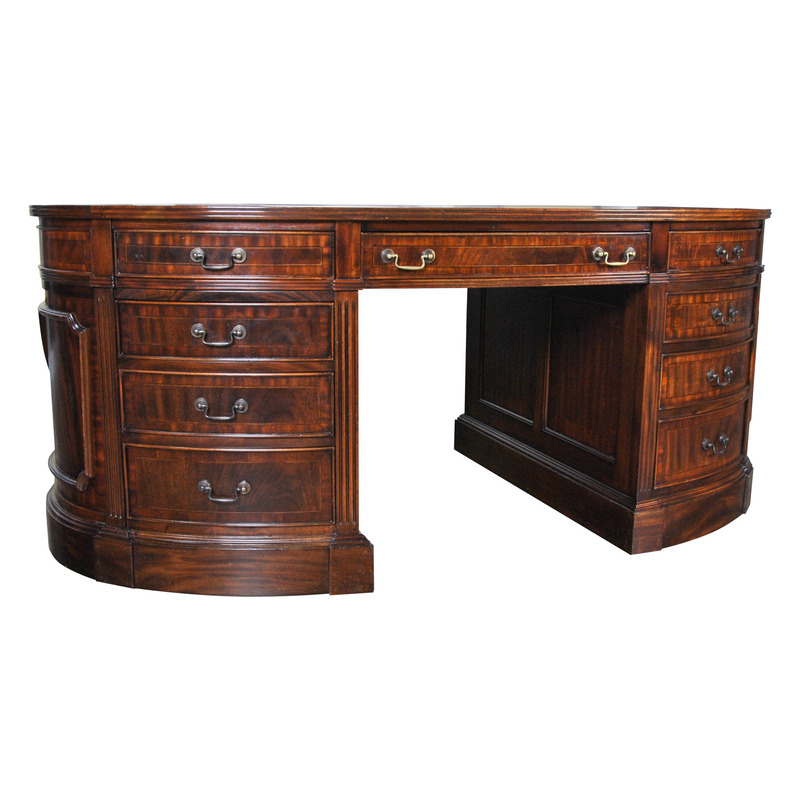 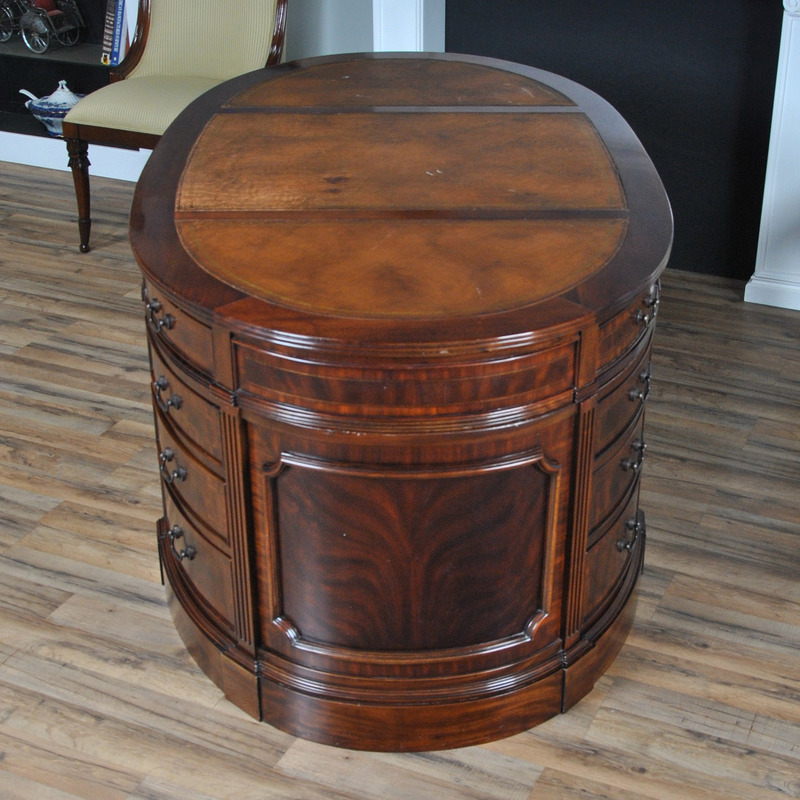 This Mahogany Oval Partners Desk can be easily shipped and installed due to it’s ingenious three part construction whereby the top section simply rests on the two pedestal bases. 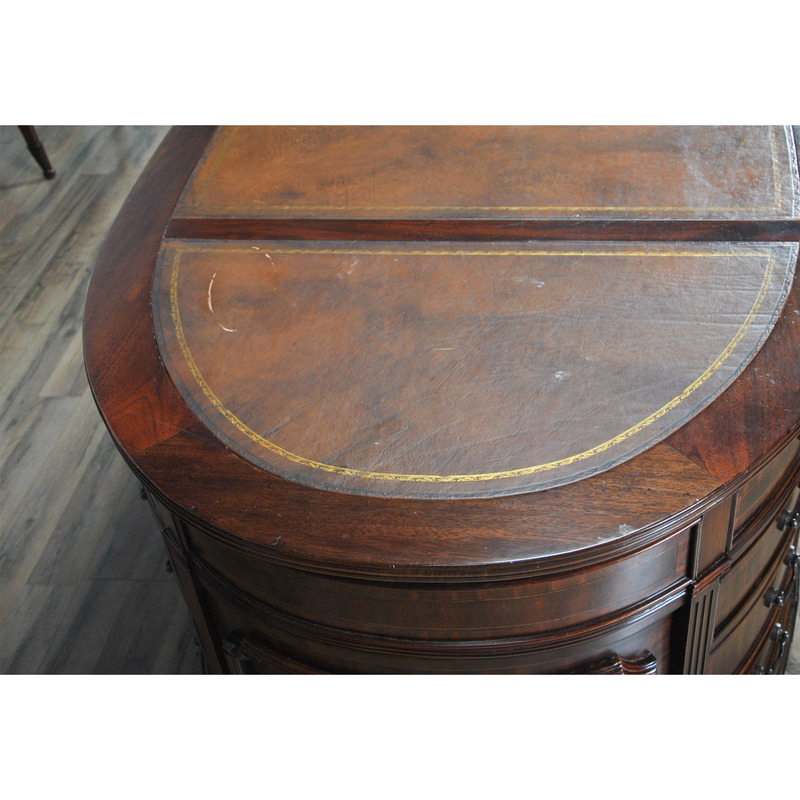 As with all antique and used pieces of furniture there are some signs of wear and tear please look through ALL of the photos carefully before purchasing.